I had a fantastic day of shooting at Goðafoss here in Northern Iceland today, and also visited some areas where the TV Series ‘Game of Thrones’ was filmed. The area around the Mývatn district is covered in a blanket of fresh snow, and everything else aside… the scenery is spectacular to say the least. Meanwhile, my gear has held up to everything it has had thrown at it including rain, snow, and now ice. I am always so careful with my gear, and don’t mind spending a little more for quality. This trip has tested it all. 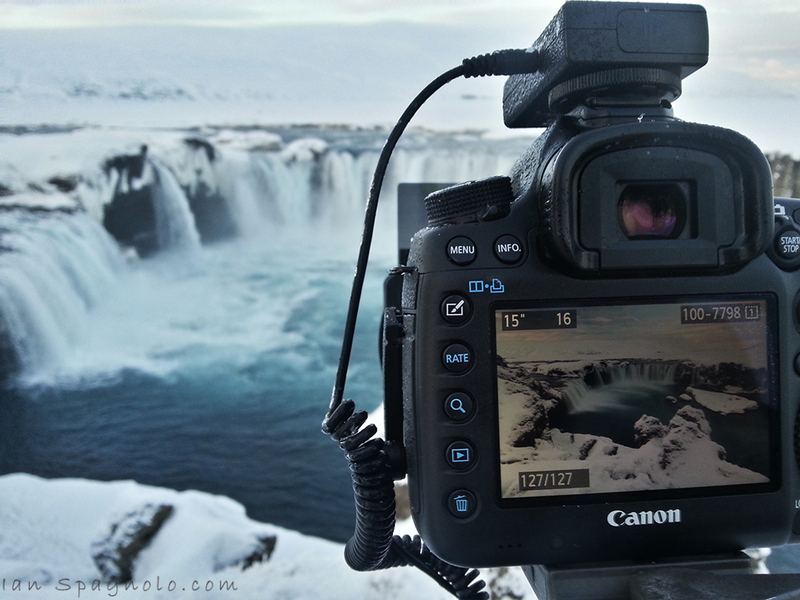 You know it is cold when your camera has ice on it… That isn’t water, trust me – it’s ice! OMG!!! Looks like it was all worth it! …. Can’t wait to see MORE!!! !